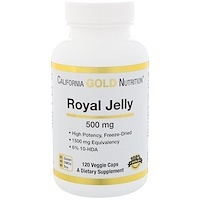 Royal Jelly is one of the world's most complete concentrated natural food sources for amino acids, vitamins (especially B5) and live enzymes. Imperial Elixir contains fresh Royal Jelly which is freeze-dried into powder, thus concentrating and preserving it. 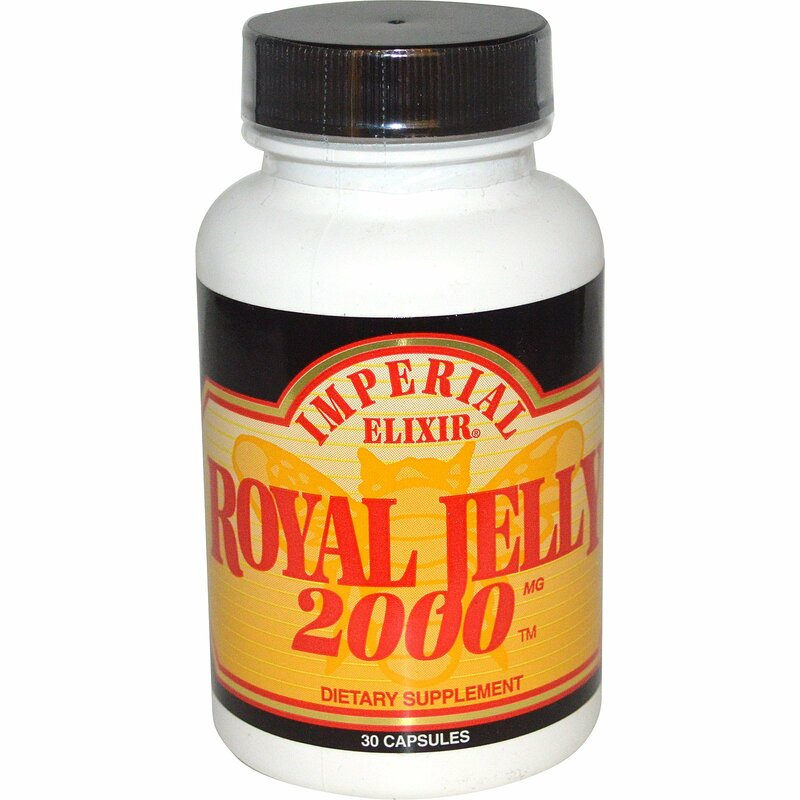 Connoisseurs know that Royal Jelly 2000 is one of the most potent encapsulated Royal Jelly products available. 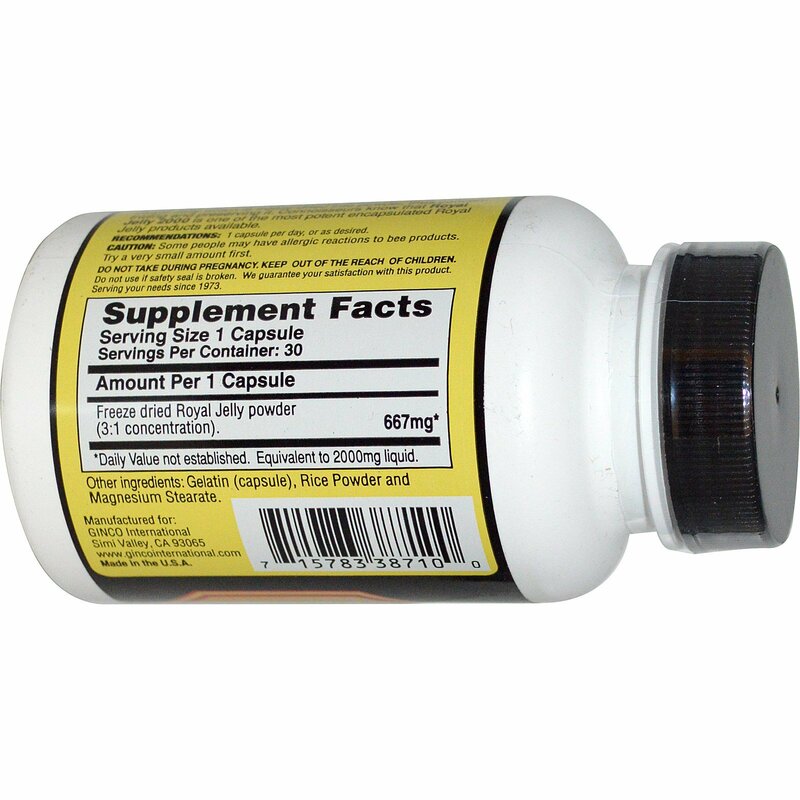 1 capsule per day, or as desired. Gelatin (capsule), rice powder and magnesium stearate. Caution: Some people may have allergic reactions to bee products. Try a very small amount first. *Daily Value not established. Equivalent to 2000 mg liquid.